How many times have you packed for a vacation at the last minute and forgotten something? If we’re asking ourselves, it’s more times than we can count. One way to avoid leaving an essential behind is to make a list before you pack, but who has time for that before each trip? Not us! 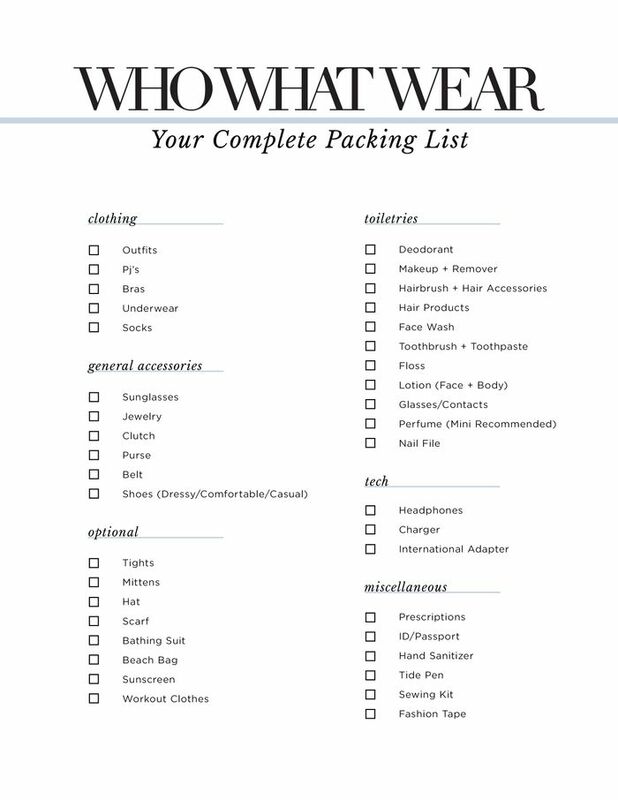 That’s why, today, we’re bringing you a complete printable packing list that can be used for any and every trip! Scroll through to check it out, and don’t forget to print, download, save, or screenshot it when you’re done! Will you be travelling soon? Here’s what you should wear to the airport.